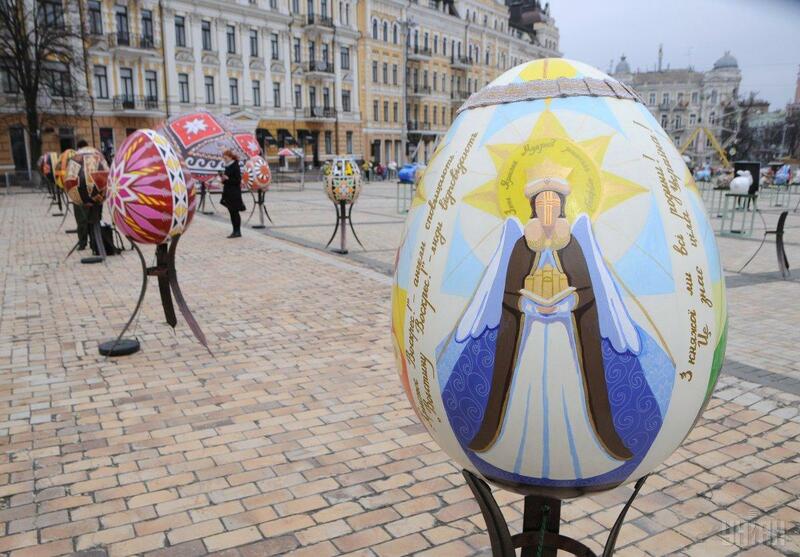 The Ukrainian Orthodox Church celebrates Easter on April 8 this year. 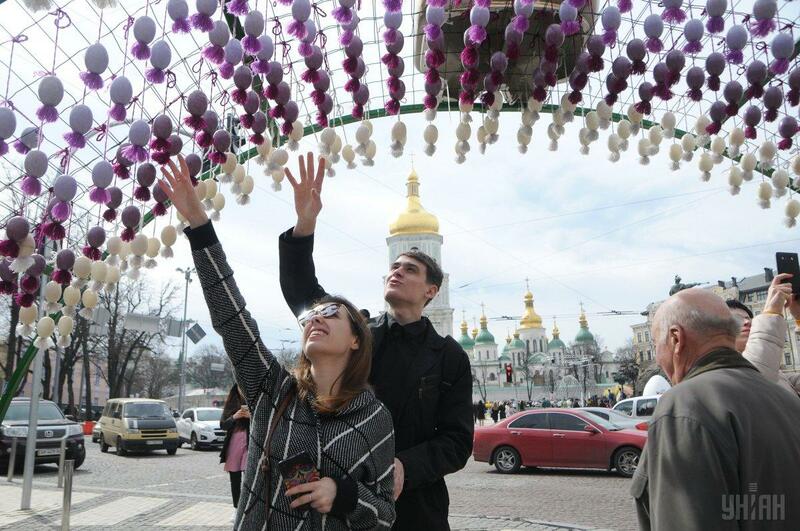 The Easter Eggs (Pysankas) Festival opened in Kyiv on April 5. 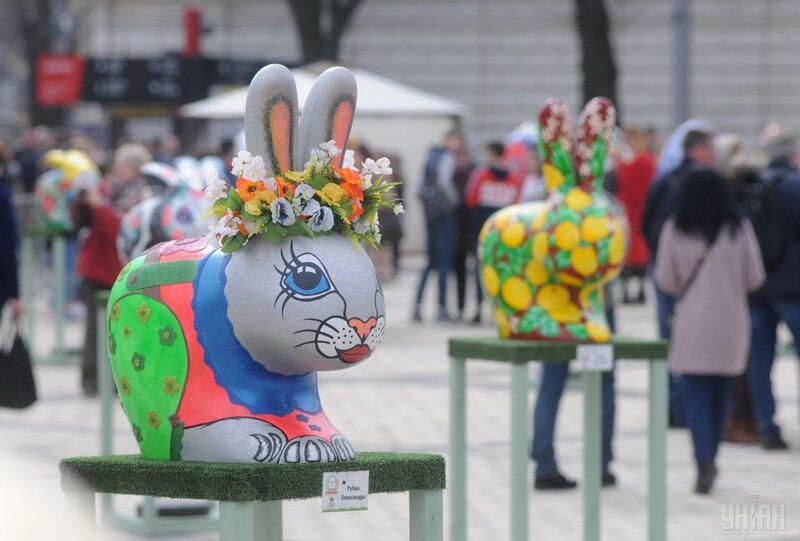 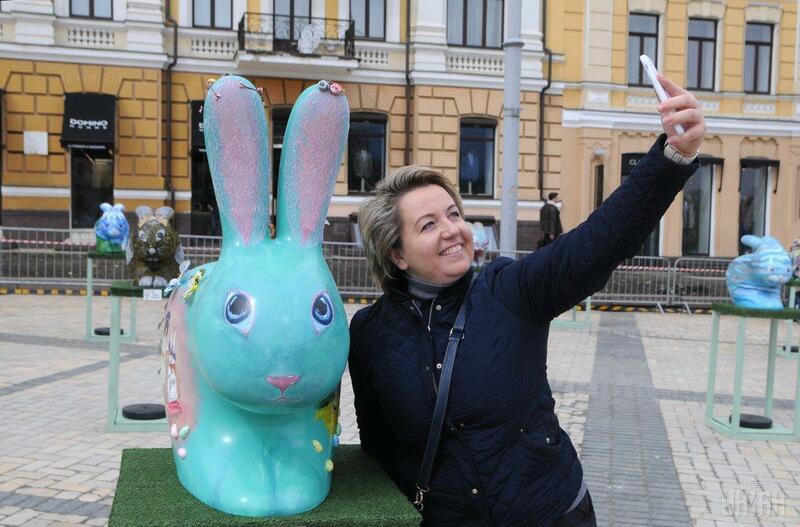 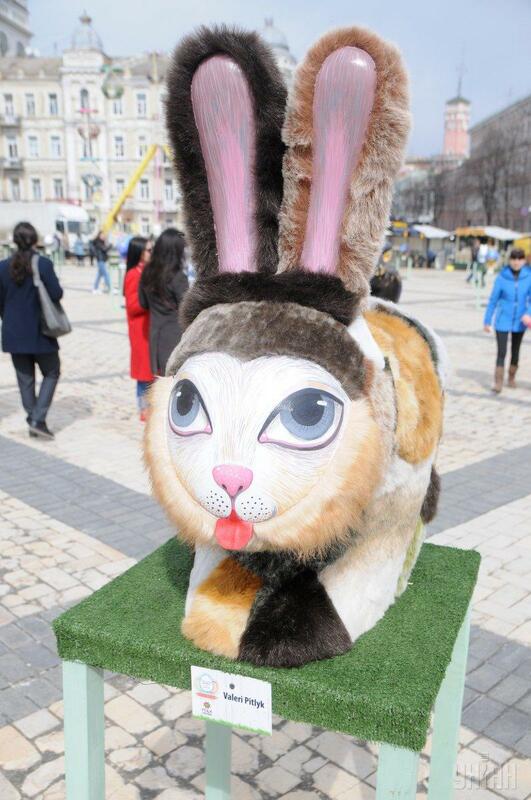 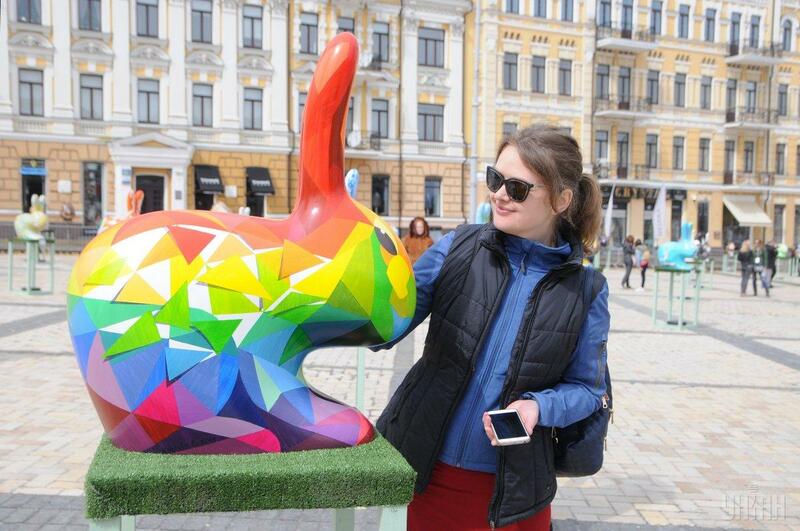 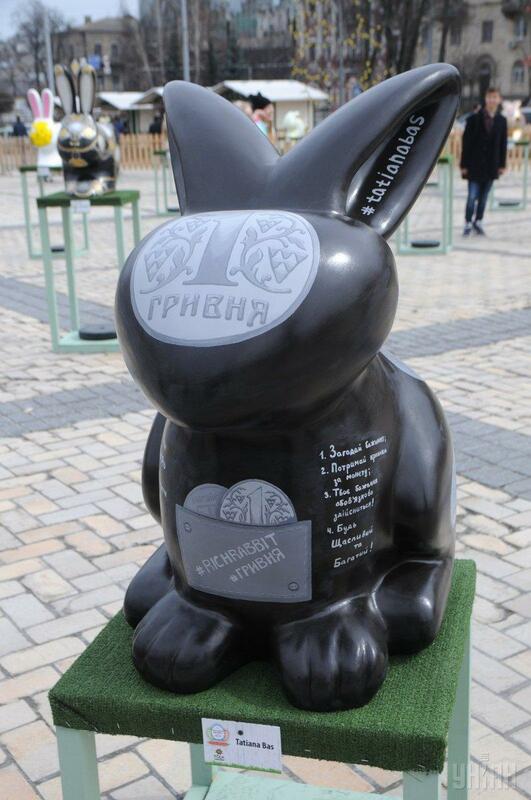 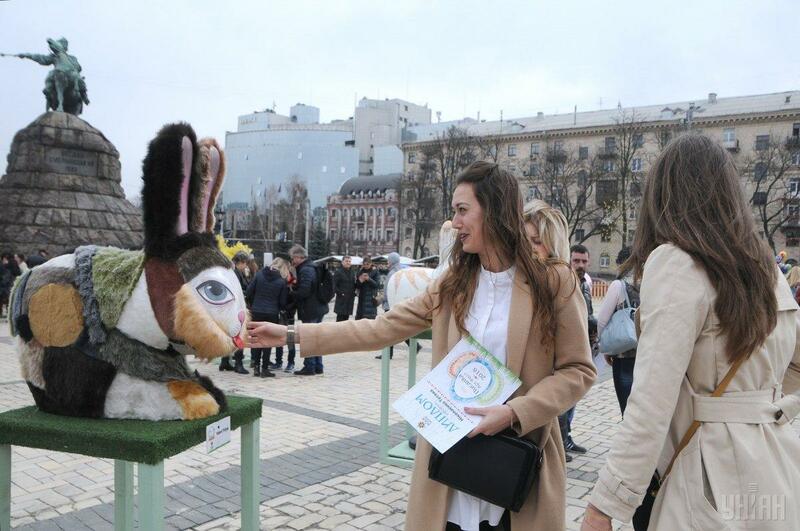 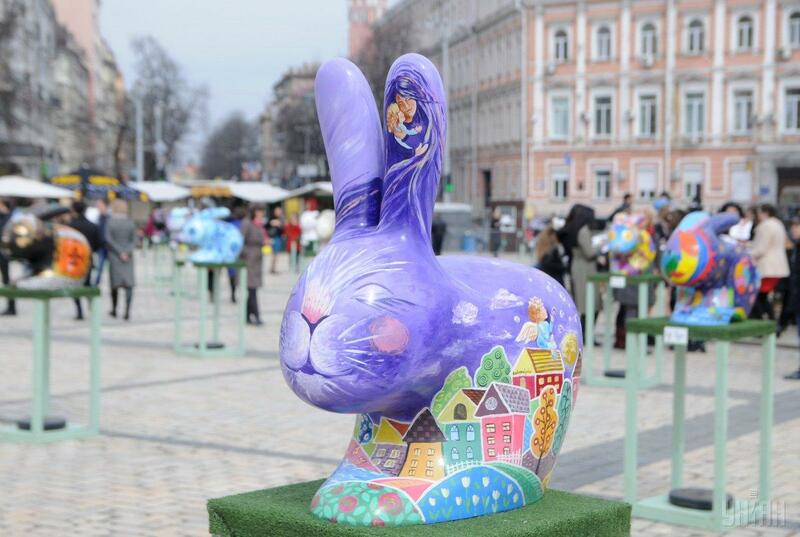 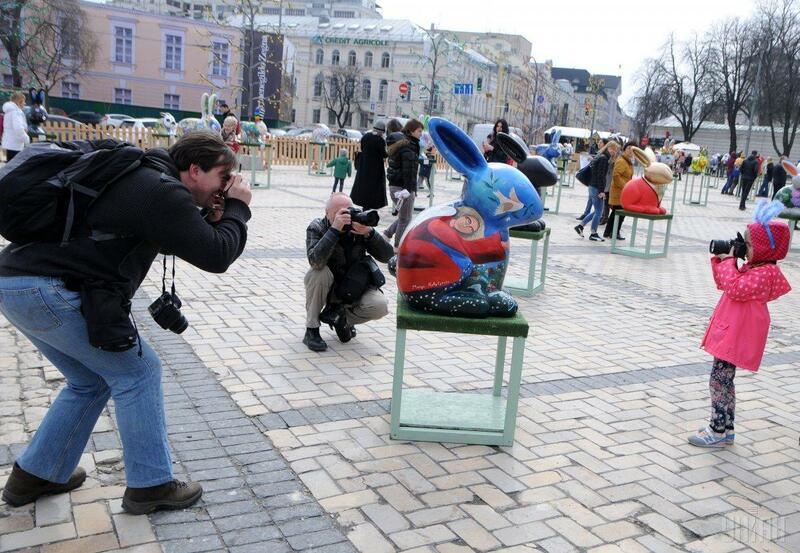 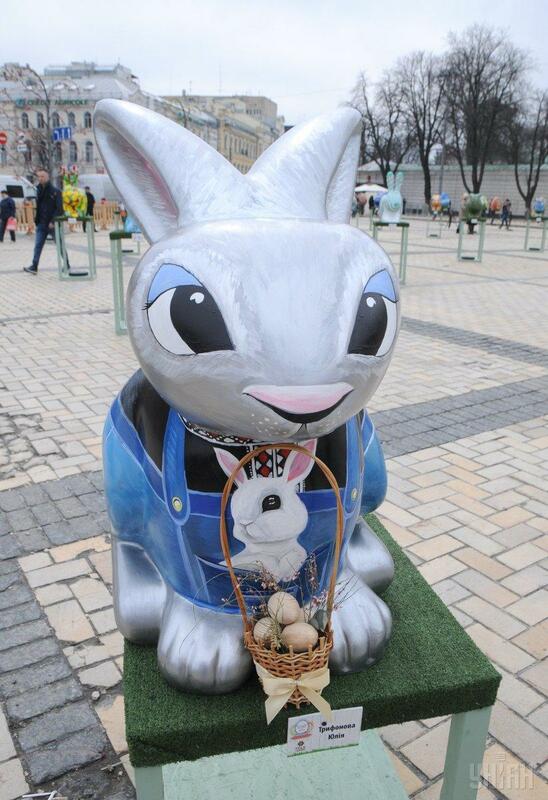 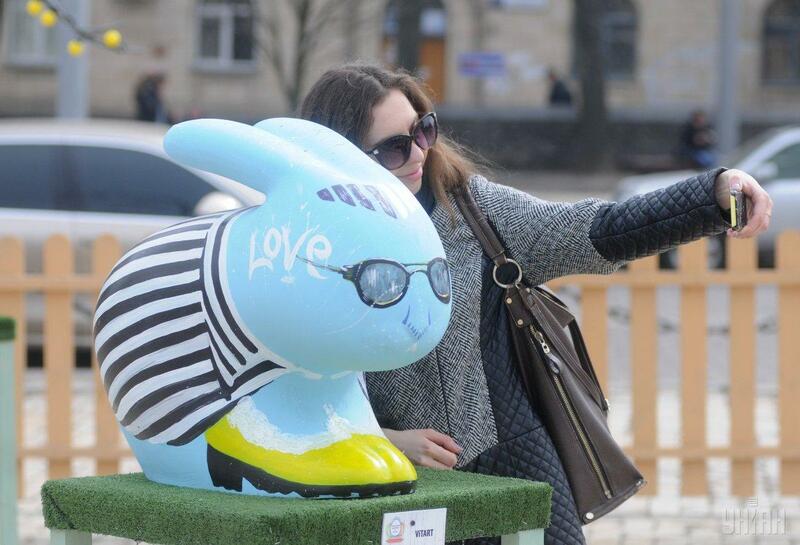 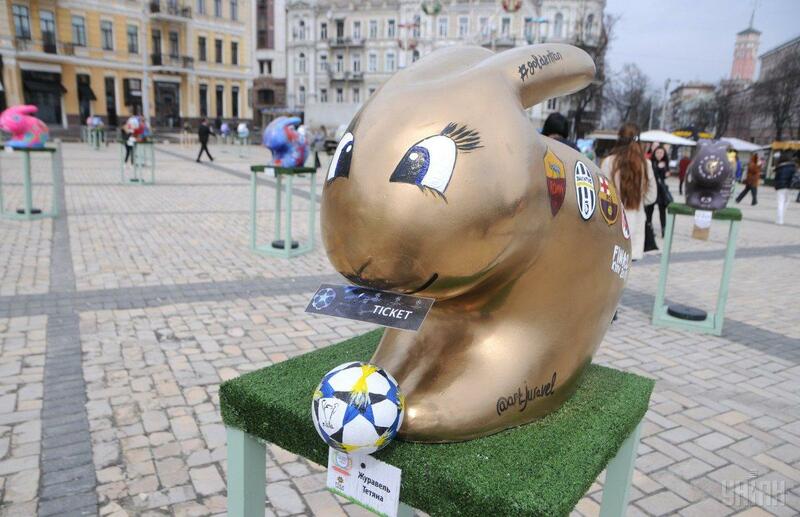 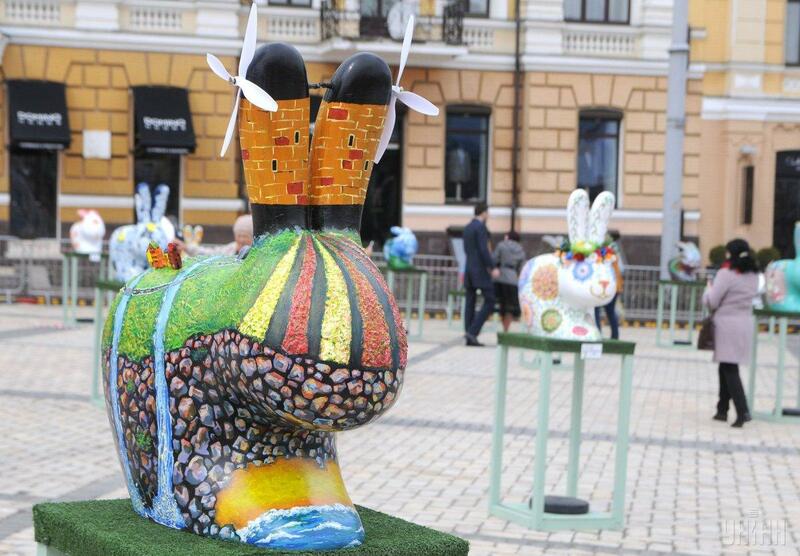 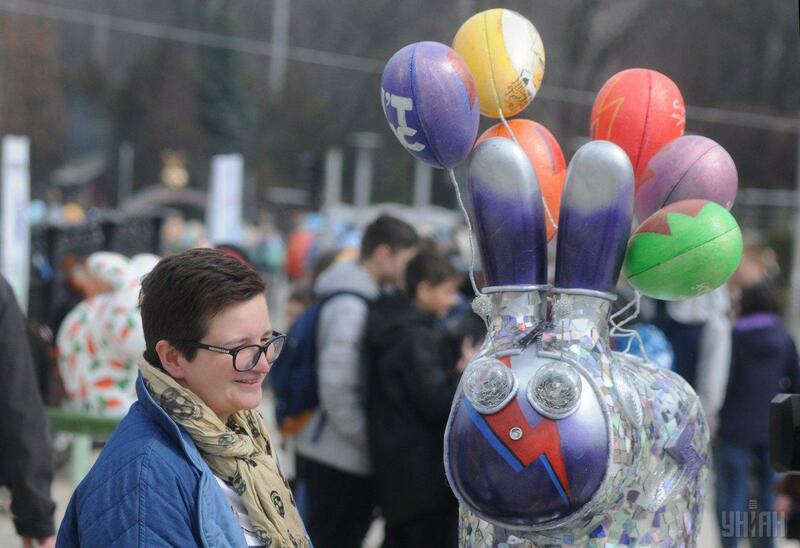 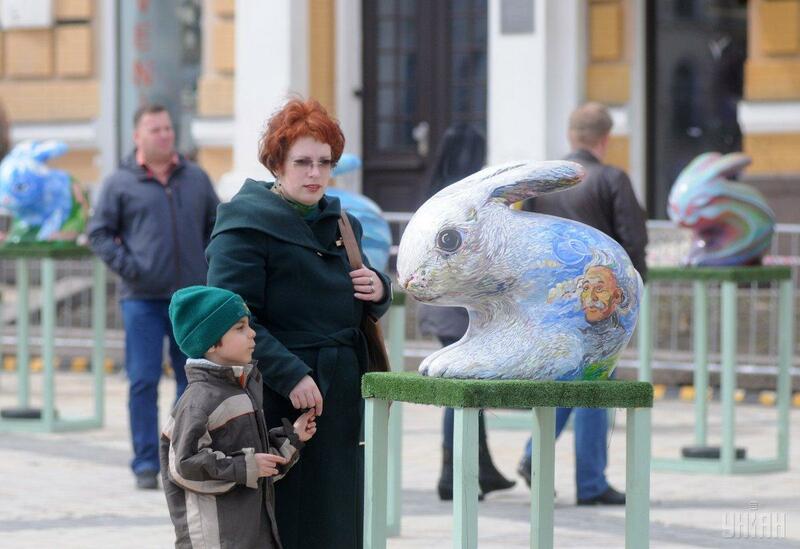 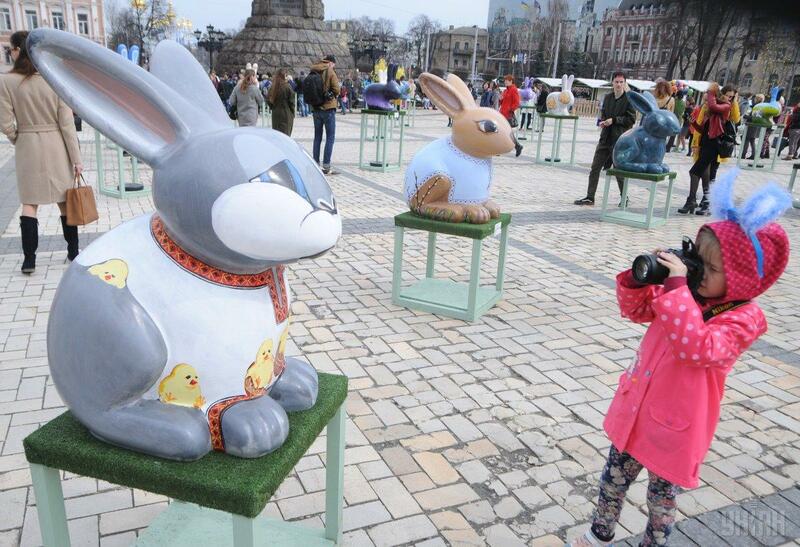 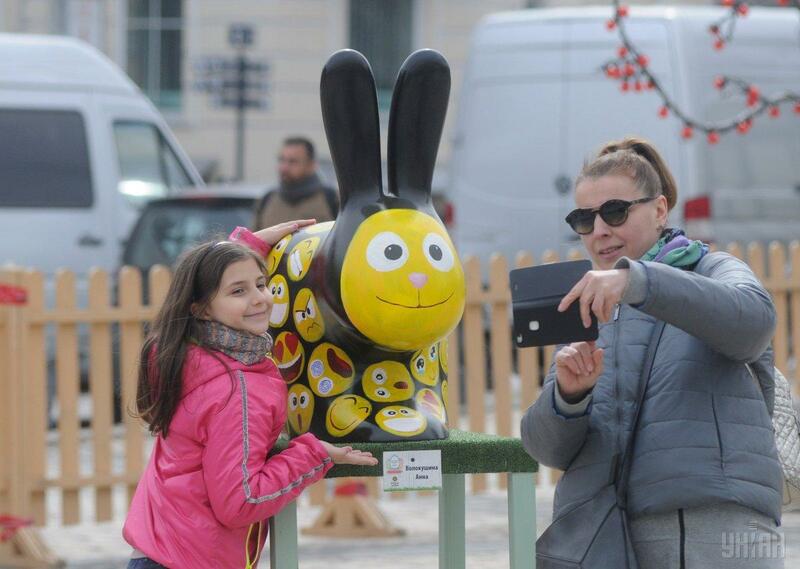 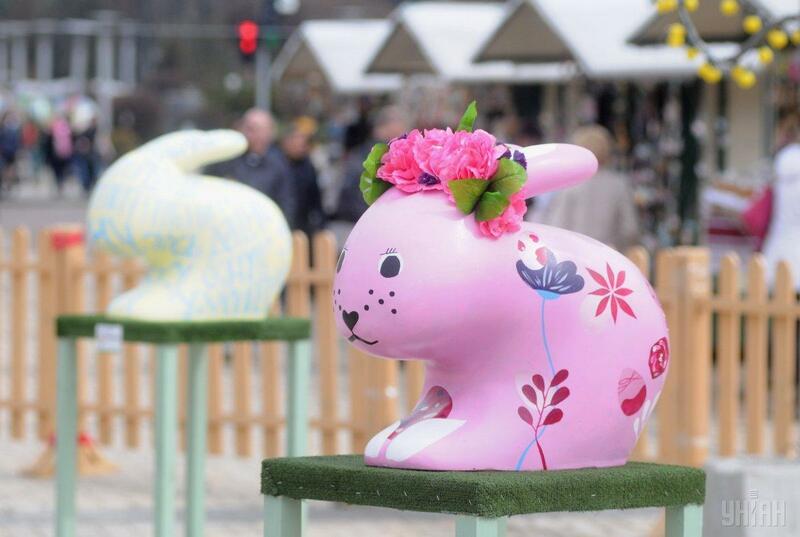 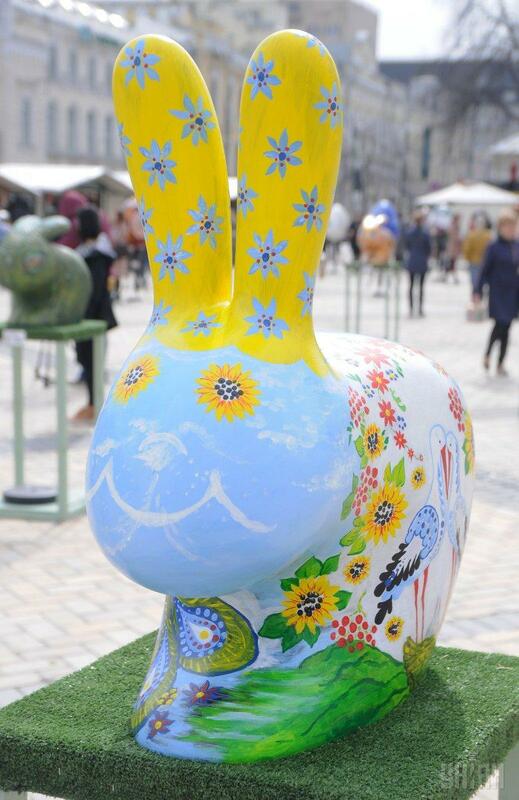 This year, not only giant eggs but also painted figures of Easter bunnies are on display on Kyiv's Sofiyska Square. 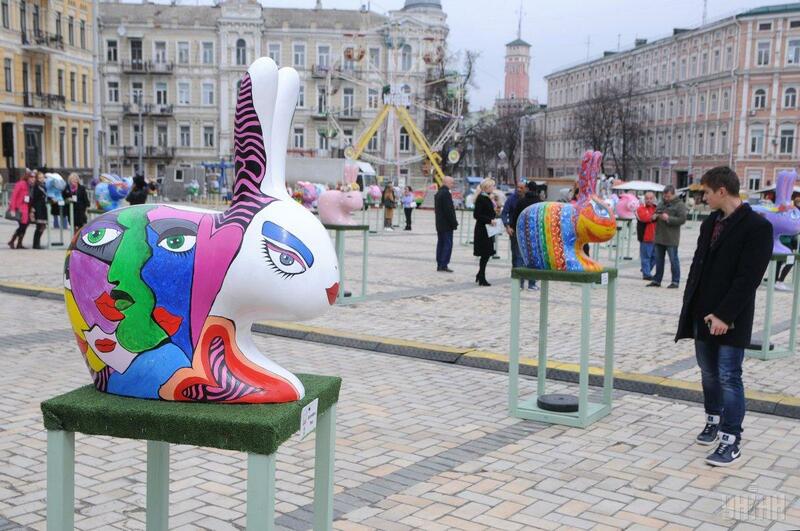 The number of the bunny sculptures exceeds 300. 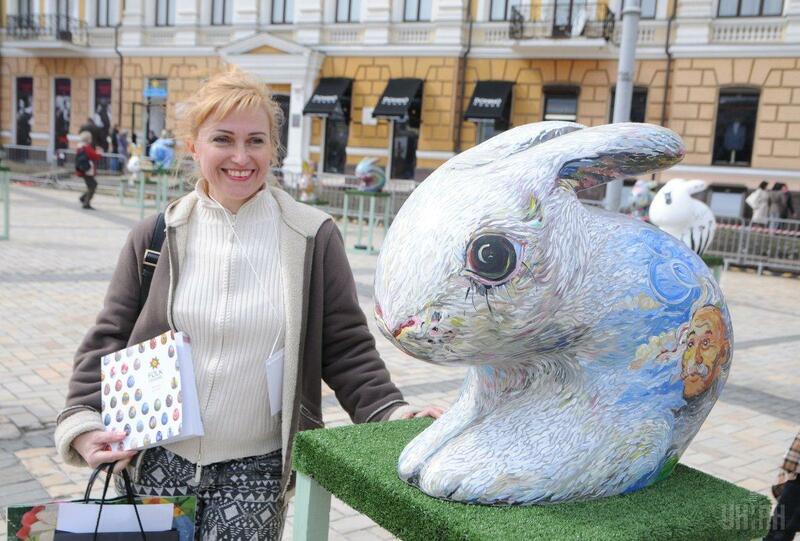 Not only professional artists but also amateurs painted and decorated the exhibits. 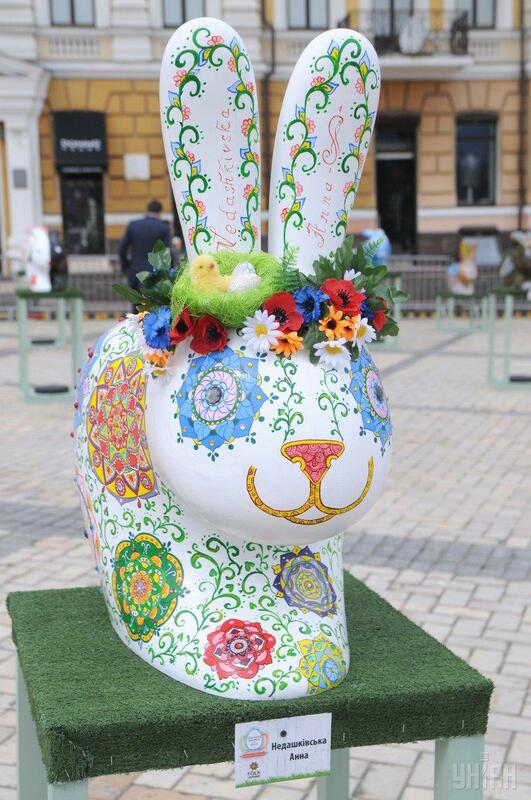 One can find bunnies "dressed" in the Ukrainian national costume, wearing furs. 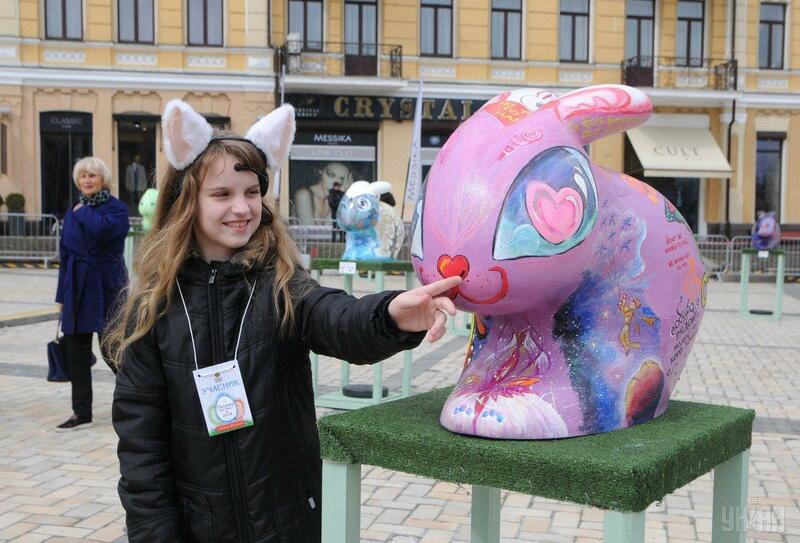 There are also "mystery" and "extraterrestrial" creatures, and many others. 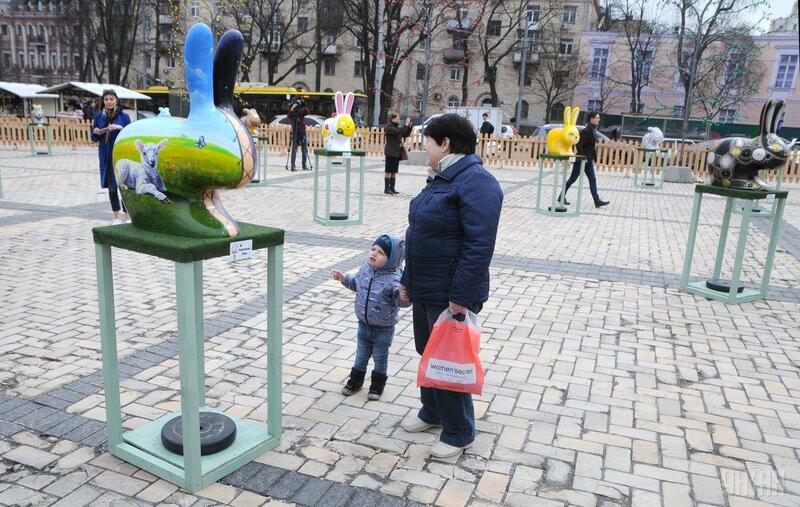 As part of the festival, an area for children was traditionally opened on the nearby Mykhailivska Square. 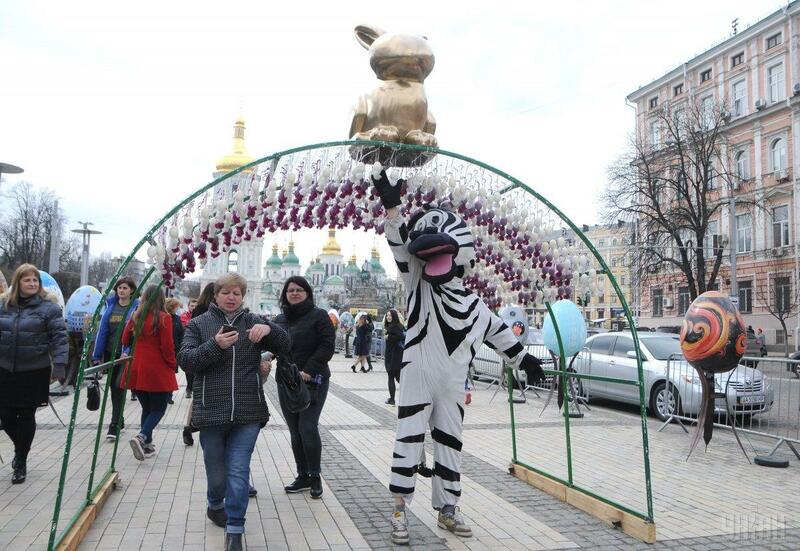 The event will last until April 22. 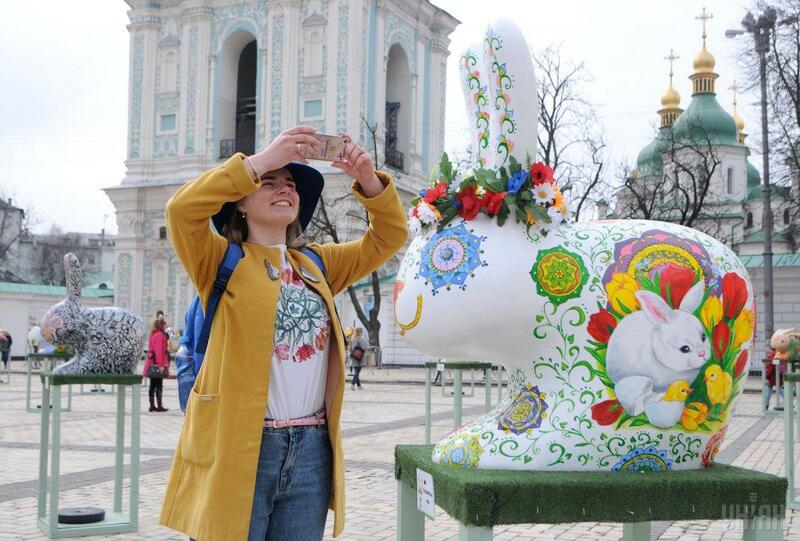 This year, the Ukrainian Orthodox Church celebrates Easter on April 8.